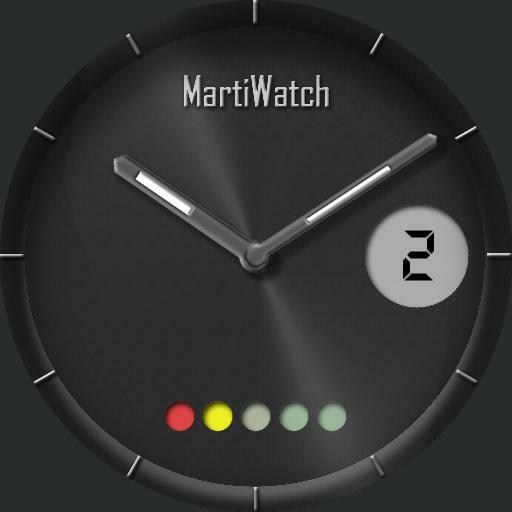 Free watch face. Classic design. Date and battery level. Gyro light effect. Tap on center for change color and on date for agenda.